When your primary customers are departments of the federal or state government, keeping up with the certification and documentation they require is crucial to your success in winning contracts. Global Shop Solutions ERP software is designed to decrease the administrative burden and tighten your control of costs and scheduling. This remains true regardless of your mode of manufacturing. Our ERP Software is available on premise and in the cloud. "We are regularly audited on our inventory control processes to ensure everything is accounted for. Without Global Shop Solutions, that process would be next to impossible." -Government Contract Manufacturer & Our Customer Machining Technologies, Inc. 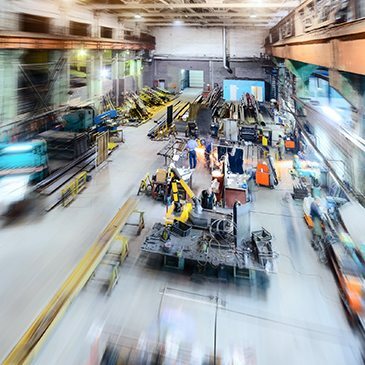 The flexibility of Global Shop Solutions ERP software is one of its key advantages for government contract manufacturing companies. Whether you operate in ETO mode, Make-to-Order or Make-to-Stock, our applications will meet your needs. Global Shop Solutions ERP software is being used in a wide variety of industries, including Aerospace and Defense, to meet their DCCA compliance requirements and for management of all their CSCSC categories. Global Shop Solutions provides information and shop management tools for the implementation of an effective Material Management and Accounting System (MMAS) that meets all DOD contractor mandates and improves efficiencies.